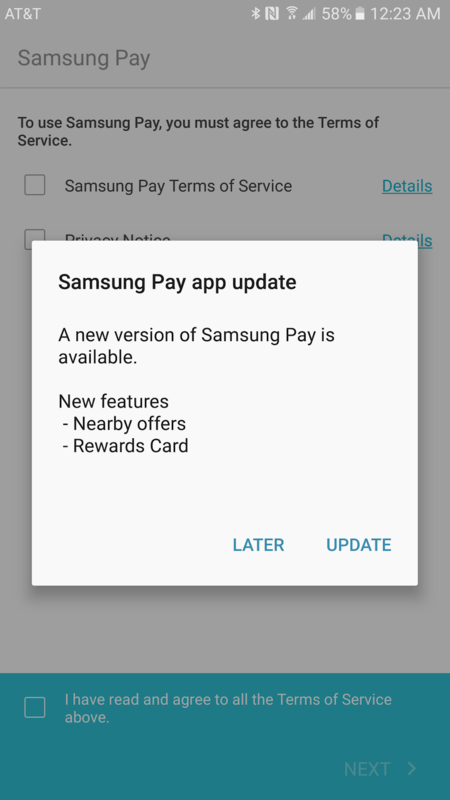 We may have all been a bit dubious about Samsung Pay when it was first announced, especially as another duplicate service that Samsung was launching to provide its own solution instead of Google's or Apple's, but Pay has proven to be more of a success story so far. Launches in multiple countries, ease of use, and MST compatibility make it a great contender in the mobile payment segment. With this continuous improvement comes a new feature of Samsung Pay: Samsung's own Rewards card. 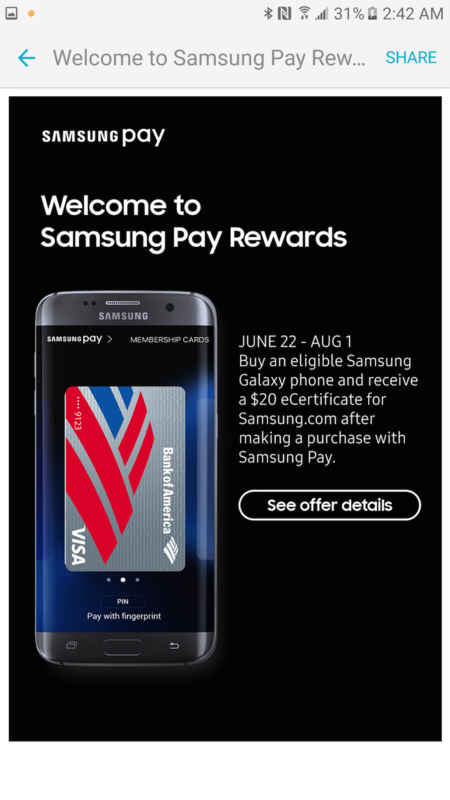 You can earn it by participating in different promotions — there's one right now for a $20 Rewards card after making your first payment in the US — and it'll show up as a VISA card inside your Pay account. 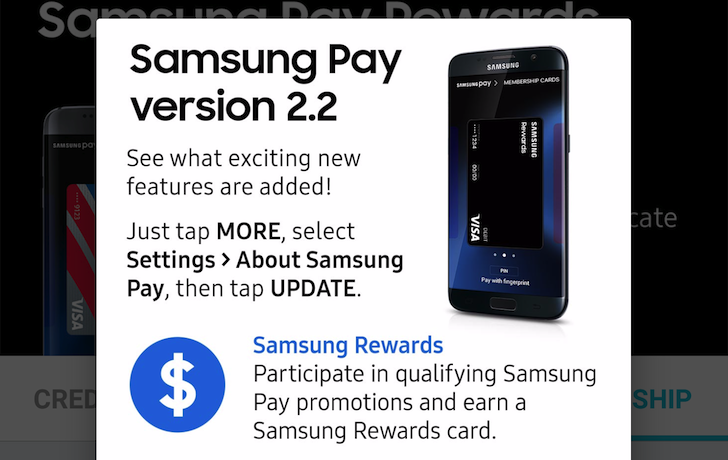 You can then use it to make payments inside any store that accepts VISA debit and Samsung Pay. There might be other ways to get Rewards cards added in the future, but for now, that's the only one that we can see. At least the app now has the infrastructure to support these cards. 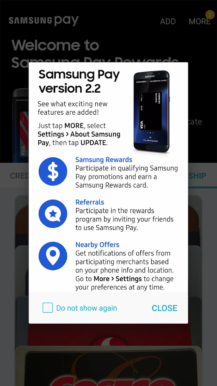 Samsung Pay is launching the Samsung Rewards card. 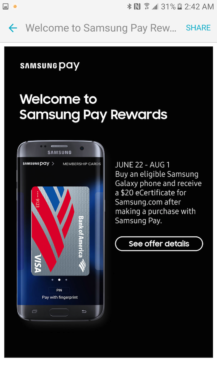 The Rewards card will be automatically added to your Samsung Pay by participating in qualifying promotions and can be used at any merchant that accepts both Visa debit and Samsung Pay. 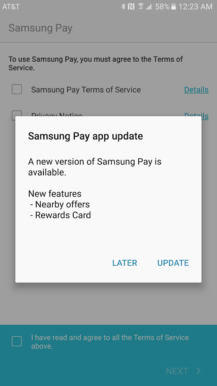 Samsung Pay can now also send you location based offers from participating merchants.